See the majestic Kalgoorlie "Super Pit", Nickel Smelter and greater Kalgoorlie-Boulder city before flying south to Kambalda and the huge Lake Lefroy Salt lake, a huge expanse of sparse dry lakebed, contrasted with deep mining excavations. 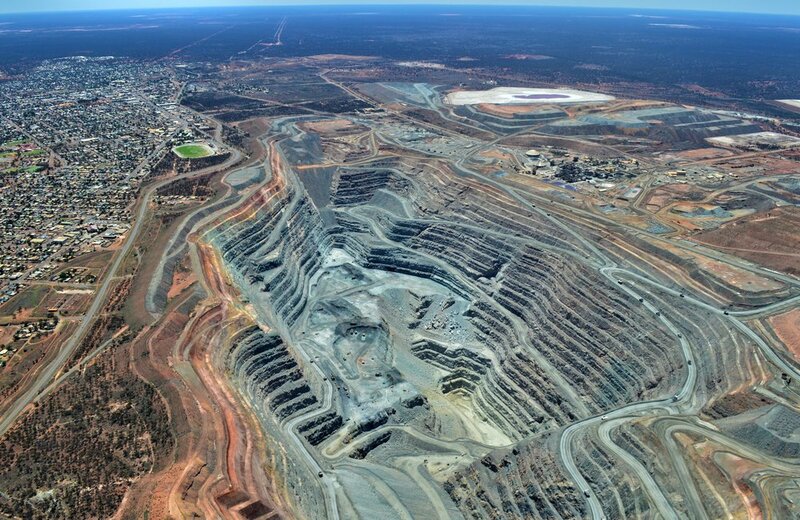 See the massive Kalgoorlie Consolidated Gold Mines "Super Pit" from the best viewpoint you can get! At 3.5km long, 1.5km wide and over 600 metres deep, seeing it from the air is the only way to grasp its mammoth size! * "Pensioner" rate applies to holders of a valid Australian Pensioner Card, to be shown at check-in. *** "Infant" rate applies to children aged under 2 years of age that can sit on an adult's lap in the aircraft. For the ultimate ride and fly experience combine your flight with a Thunderstruck Trike ride through historic Kalgoorlie - or even just a pickup from your home or hotel. Ask us how?